Casual Fashion- Icelle… Trendsurvivor’s new stylish collaborator from California has the perfect weekend outfit. 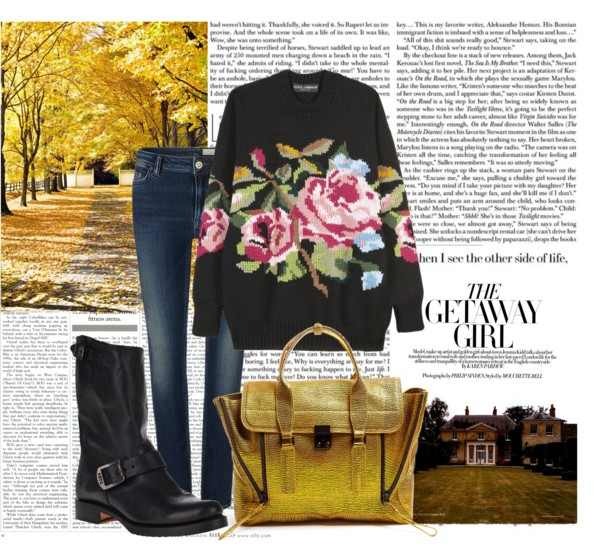 A knitted floral sweater, a pair of classic blue skinny jeans, edgy original biker boots and a statement tote bag perfect for fall. Stay tuned for more of her inspiring weekend outfit collages next Friday! It must be the best looking sweater i have seen this season! Oh yes!!!! I wish I will find it on sales some day!